It seems strange to be writing this from the comfort of my sofa, yet only yesterday this was my view: repairing the Hubble Space Telescope in low Earth orbit, from the next generation shuttle, Explorer. And it was breathtaking. 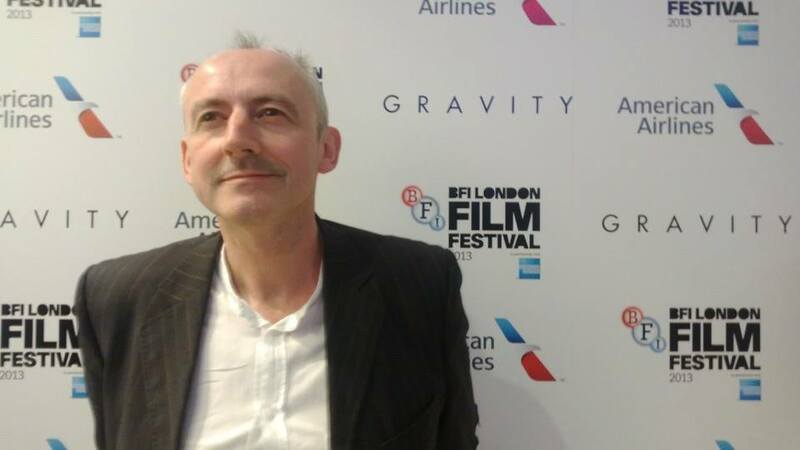 I had front row seats for the UK premiere of Alfonso Cuorón’s Gravity at London’s Odeon Leicester Square, as part of the bfi’s London Film Festival. 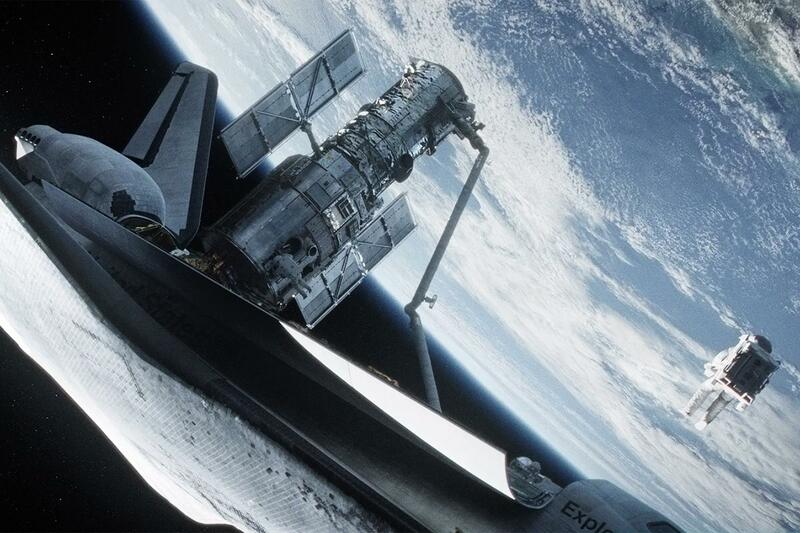 The first dozen minutes of the movie are a single, beautiful shot of Earth from space, viewed in glorious 3D. Wow. 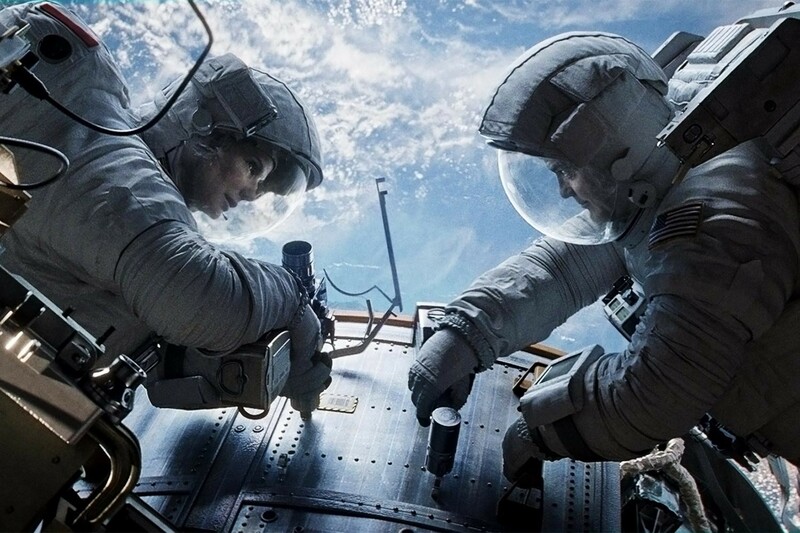 We dive into the scene and eventually stars Sandra Bullock and George Clooney are unscrewing a panel on the Hubble Space Telescope, that they’re up there to repair. A bolt spins out of Bullock’s reach and I’m on hand to catch it as it flies past me. Wonderful. Last year I found myself on the red carpet with George Clooney for The Ideas of March. This year, I entered with Sandra Bullock while Harry Potter producer David Heyman was being interviewed in the doorway. Having taken my seat, Cuorón, Heyman and Bullock took to the stage and introduced the movie. The visual effects are extraordinary. Tim Webber and his team are surely nailed on for next year’s Oscar, having come up with all manner of new techniques for relatively low costs, to create such a realistic spectacle. Life of Pi had beautiful cinematography and 3D, but I think Gravity is even better, but of course that’s also partly down to the low Earth orbit setting. Make sure you see the film on the biggest screen you can find, and you won’t be disappointed. I have experienced being in space, while at the cinema before. When I worked at the Science Museum I was able to slip into their IMAX whenever they were showing Walking on the Moon: 3D. It really was the next best thing to being there, but that used a lot of genuine footage. There are two related jokes about Gravity, such is the realism of the film: one is that NASA is going to sue once it discovers Cuorón’s hidden cameras aboard the International Space Station (ISS); the other is that he actually considered filming it in space (listening to him, they thought about it for at most half a second). So far so good. I don’t know if I was so blown away with the experience that I didn’t pay much attention to the actual characters, or whether their story wasn’t particularly interesting. But while I’d give the visuals 11 out of 10, the backstory of lead characters Bullock and Clooney only seemed to merit a 4 or 5. But the premise is good, so don’t let that put you off. Many scientists are becoming increasingly worried about space junk filling the area where most satellites are placed. There is a catastrophic scenario where the collision of two satellites, or one breaking up, could lead to a chain reaction with devastating consequences, where most if not all satellites would be destroyed. The movie opens with that happening and the debris careering towards the vulnerable shuttle. And even once it’s gone by, we and the astronauts know it will return within 90 minutes and none of us still want to be there when that happens. You will find yourself ducking out of the way of space debris and maybe even longing to feel planet Earth under your feet again. I’ve made it back safely, and can report that Gravity must be seen for the beauty and brilliance of the visuals. ~ by keithmansfield on October 12, 2013.